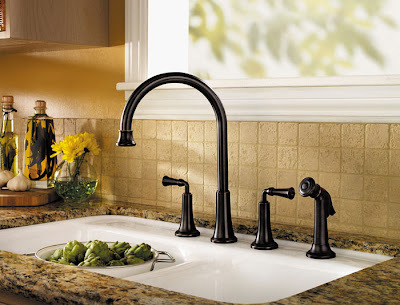 Price Pfister Bellport™ gives your kitchen a dramatic, yet graceful focal point. Its’ sophisticated high arc spout adds a touch of European style to your décor in either Stainless Steel or Tuscan Bronze finishes. Because Bellport has no deckplate, there’s an added benefit of a clean look plus the function of 2-handles and a side spray.